This January, Global Strategies, alongside the nurses and midwives at Star of the Sea Health Center, began a community-based mother and newborn care program in the West Point neighborhood of Monrovia, Liberia. 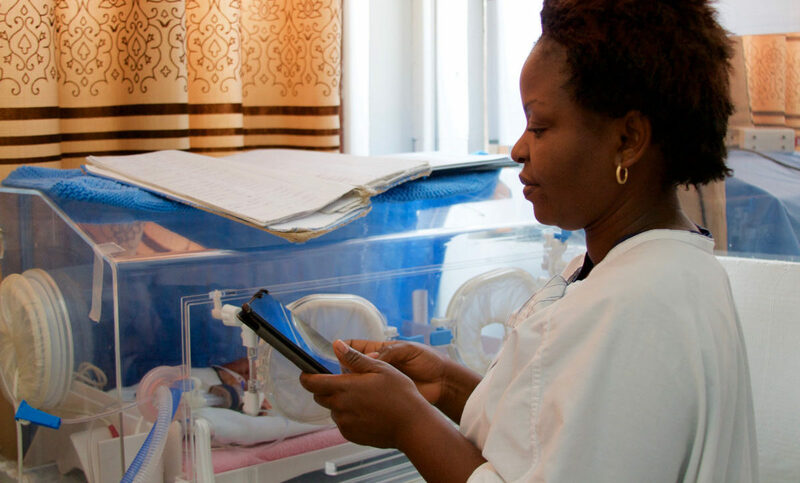 The project is a unique and innovative approach to reducing newborn mortality in an area suffering from one of the highest neonatal mortality rates in the world. Working with the incredible Liberian team, Global Strategies trained nurses, midwives and doctors not only what to do when a sick baby arrives, but how to proactively identify babies who may become sick. The program is a combination of old-fashioned and high-tech approaches---house calls with iPad minis. Throughout the month, Global Strategies Field Clinicians trained 22 midwives and nurses how to resuscitate newborns, perform examinations and conduct risk assessments. The nurses then used what they had learned to not only treat babies born in the hospital, but to identify at-risk babies born at home. During the home visits, they record their findings with an offline survey tool that guides them through the evaluation of common risk factors--What is the babies' gestational age? Is the baby breastfeeding well? etc. When they return to the clinic, they synchronize the iPad minis with the help of a mobile wifi hotspot purchased by Global Strategies. Looking at all of the data, the clinic supervisor can efficiently advise the nurses in their management and follow up plans. Taking the longer view, Global Strategies helps the Liberian team analyze the data to identify community trends and gauge the project progress in real-time. This knowledge will better equip Global Strategies and our partners to implement interventions that are effective and appropriate to this densely populated and unique neighborhood. Global Strategies looks forward to continuing its work with the Star of the Sea Health Center and the members of the West Point community as we partner with Liberian healthcare workers to save newborn lives.